Participating in Block of the Month is a way to learn new techniques, try new designs or patterns, play with fabrics and colors … and win blocks. At monthly meetings the BOM chair presents a pattern and sample block (also available in the newsletter). Interested members contribute block(s) and enter their names for a drawing. 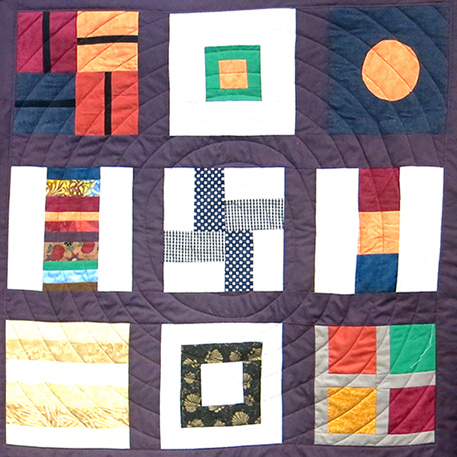 The following month one lucky quilter goes home with all the blocks. 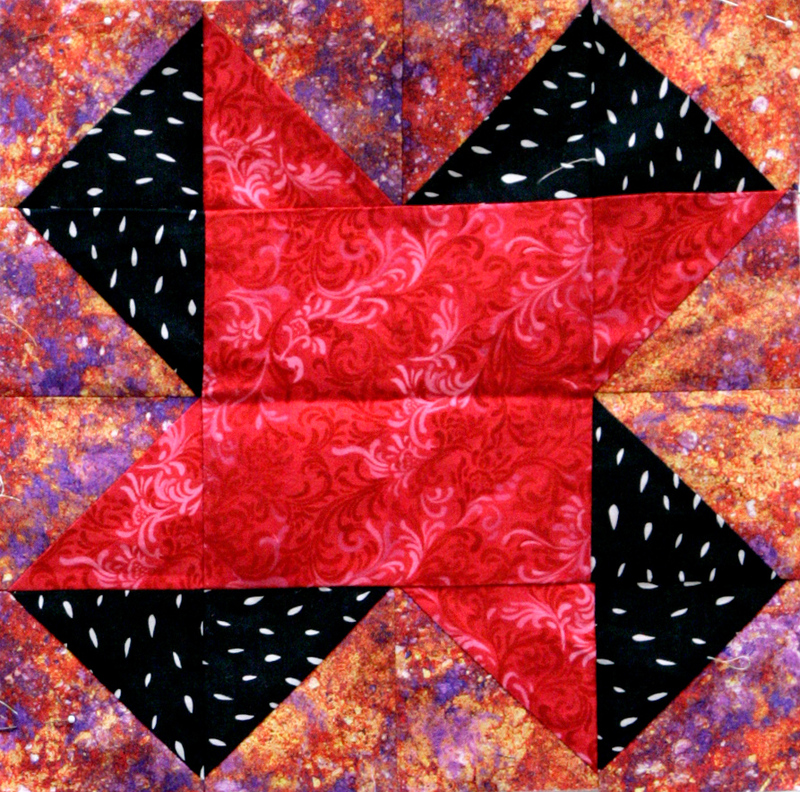 Great quilts have started this way. For details, please get in touch with Julia McLeod; her contact info is in the Membership Directory. Here’s what it looks like to win blocks and complete a BOM quilt! Margaret Barrett was the June winner of blocks made by participating guild members using Julia McLeod’s Books on a Shelf pattern. 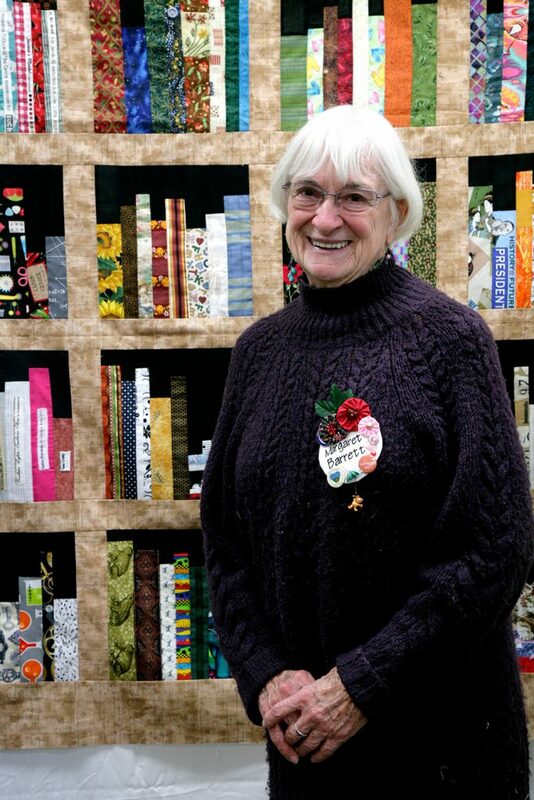 Margaret pieced her quilt top in under two months and presented it during Show and Tell at the August 2018 meeting.